Oil/petrol interceptor maintenance should be conducted by experienced personnel at least every 6 months. Usually an interceptor service will not be necessary every 6 months and an interceptor inspection will be sufficient to fulfill this requirement. 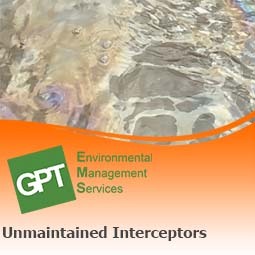 All of our oil interceptor inspections are undertaken by qualified environmental consultants who have a detailed understanding of how interceptors work and what common problems they can develop. This helps us to ensure that if you have a faulty or broken interceptor we are able to detect and diagnose the issues. Our approach to petrol/oil interceptor inspections amalgamates the requirements of British standard (BS EN 858-2), typical manufacturer recommendations, (the now withdrawn) PPG 3 as well as our own additional checks to give a service which meets and exceeds regulatory requirements. Our reports can be used to demonstrate due diligence and provide 3rd party validation to ISO 14001 auditors and Environmental Regulators (EA, SEPA, NIEA and NRW) that appropriate maintenance is being conducted. The output from our interceptor audit is a written report detailing the condition of the system with recommendations for any further action required. Hazardous waste transfer notes alone do not show that a proper maintenance regime is being conducted. Our interceptor inspections are part of a tried and tested maintenance regime which we perform for a wide variety of clients. 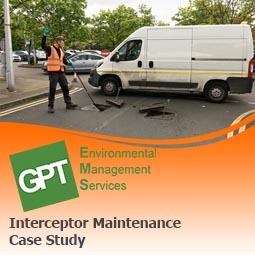 One client who switched from having their interceptors emptied by a tanker every 6 months to our 6 monthly monitoring made annual savings of £120,000 as well as reducing their water usage, hazardous waste creation and carbon footprint. If you do not have a compliant oil interceptor maintenance regime in place you run the risk of having an interceptor which is not fully functional, and if you have a spill which leaves site through your interceptor you are at risk of being prosecuted. 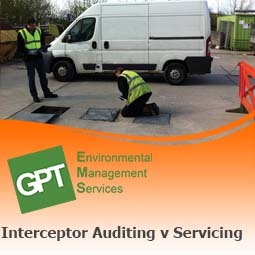 For instances where non-compliant interceptor maintenance regimes have led to pollution of the environment and subsequent prosecutions from the EA please see the case study. We are experienced in maintaining all makes of interceptor including SPEL, Morclean, Kingspan, Klargester, Conder, Premier Tech Aqua and Camplas. Our expertise with interceptors means that we are able to maintain all types of interceptor class 1 (class I), class 2 (class II), by-pass and full retention and pick up on any issues which specific systems can develop. We are also experienced in maintaining all makes of interceptor alarms including Labkotec, Darcy, Aquasentry, Pyramid, Kingspan. "You need to inspect the oil separator regularly, clean it when necessary and keep a log of inspections and cleaning."